-- Select a Size/Color -- Medium - 36" x 23"
Give your pup a tough yet cozy bed with our Slumber Pet Toughstructable Dog Bed in Black. 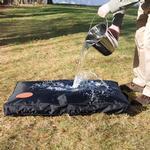 Finally, a dog bed that is versatile and resists stains, odors and is water-resistant. 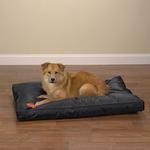 The Slumber Pet Toughstructable dog bed has a long lasting 100% nylon cover with DuPont Teflon coating. The durable and versatile design is great indoors and out--take it to the beach, on the boat, or anywhere at all. Thick polyfill cushion gives pets a soft spot to rest. Please Note: This item ships vacuum-packed for easy storage. Vacuum-packed beds normally take 24-48 hours to take shape after being unwrapped. Some beds may need additional fluffing to help the interior separate and plump. 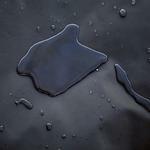 Cover: Remove and hand wash in cool water, line dry.